Lock in a great price for Hotel Ribno – rated 8.2 by recent guests! Everything about this hotel was just right...perfect! Thank you for a wonderful stay at a beautiful hotel! The location was really good, next to the forest with beautiful scenery. The staff was helpful, we could ask anything and they helped. We liked the zero waste idea. Breakfast was great with lots of option and delicious food. Location was pretty and we enjoyed walking through the countryside from there. Exceptional service from all areas in f this nature hotel. I really enjoyed the location even though it’s a few kms from Lake Bled! Great breakfast and general facilities were good too. Half board was the way to go! Breakfast and dinner were delicious and had lots of options. Affordable place to stay. Very peaceful and away from the hustle and bustle of Bled. We had a a room with two rooms and it was really nice to stay in with a whole family. I really liked how they were trying to be zero waste. All staff were friendly and helpful. Serene, wooded setting near Lake Bled. Mountain chalet atmosphere. Easy access from highway. Good Wi-fi. 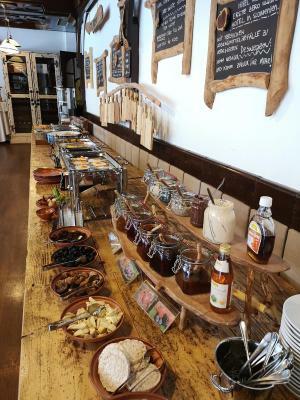 Good buffet options for both breakfast and dinner. Easy, secure parking. Hotel Ribno This rating is a reflection of how the property compares to the industry standard when it comes to price, facilities and services available. It's based on a self-evaluation by the property. Use this rating to help choose your stay! 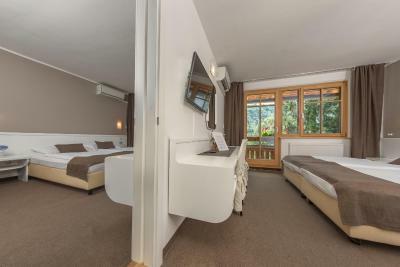 One of our top picks in Bled.Located 1.6 mi from the center of Bled in the scenic village of Ribno, Hotel Ribno offers panoramic views and free WiFi access. Surrounded by a pine forest, this property offers opportunities for outdoor activities with 5 tennis courts and a beach volleyball court. 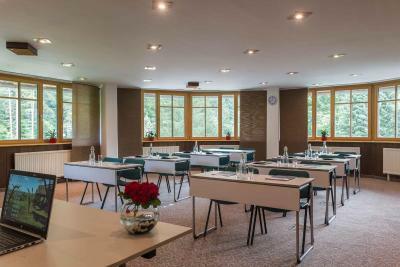 Hotel Ribno is the first Slovenian Zero Waste hotel. 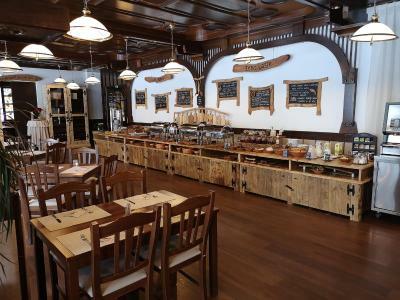 Guests can sample delicious local and international cuisine complemented by a wide choice of Slovenian wines at the Ribno Bled restaurant with 3 dining halls. 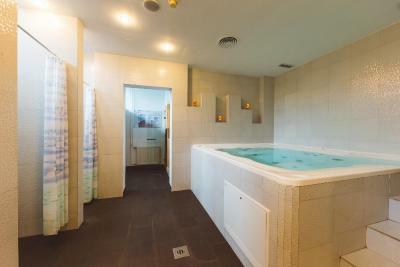 The property offers an outdoor terrace, a business center and a wellness center with saunas, hot tubs and massages. 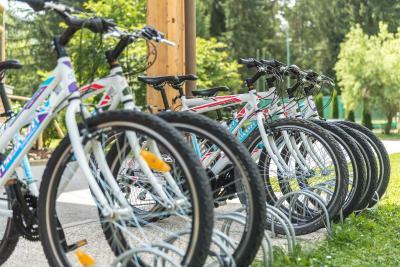 Bike rental is available, as well as fishing and hiking facilities. 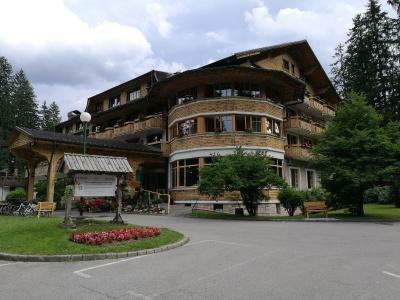 Hotel Ribno also provides a shuttle bus which connects the property with the center of Bled. When would you like to stay at Hotel Ribno? This triple room features a TV, a mini-bar and a private bathroom. Some units of this room type also come with a balcony. This room consists of two interconnected bedrooms. It features a balcony with a view of the forest and a mini-bar. The Ribno Hotel is very close to the Slovenian Alpine pearl of Lake Bled, in the idyllic village from which it takes its name. Its location - on the fringes of a spruce forest with abundant birdsong - delights all those who long for peace and relaxation in close contact with nature. 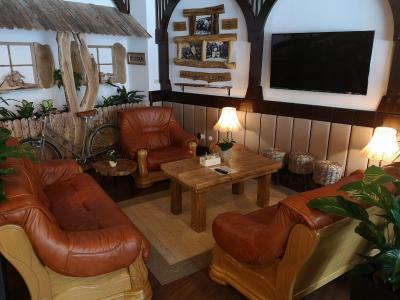 The hotel is an excellent starting point for hiking and cycling tours, fishing, adrenaline experiences and other sporting challenges in the nearby area. 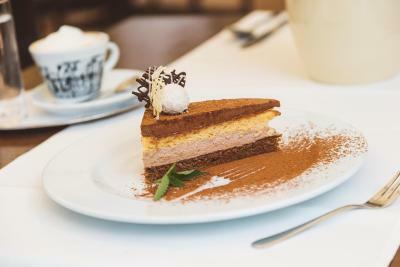 House Rules Hotel Ribno takes special requests – add in the next step! Hotel Ribno accepts these cards and reserves the right to temporarily hold an amount prior to arrival. The staff, location, surroundings and the massages . The food was very good too. 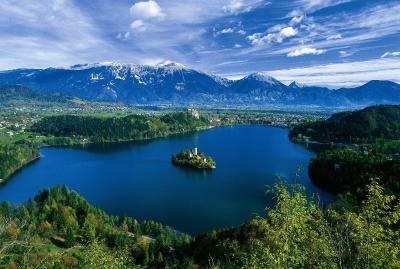 The location was a 5 mins drive from Bled Lake. Very quite and peaceful. We took our cat with us and it was a very relaxing experience for us. The rooms are a bit dated, very clean though. The equipment in the hotel room was OK, but some parts need service, especially the shower. Nice and cheap hotel. Very kind personal. The meal on half board was good. Every day different choice for the dinner. The breakfast each day same, but not poor offer. Incorrect room allocated to myself, booked a balconied room with double bed but allocated a twin room without balcony. Amazing hotel! Great food selection. Very friendly staff. We have really enjoyed our stay. 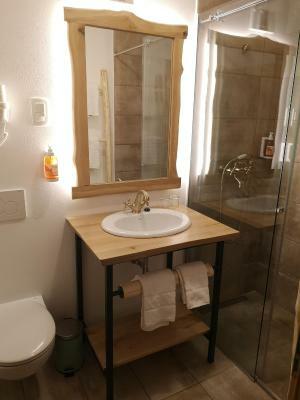 We loved the fact ,that it was zero waste hotel! Our rate included breakfast and dinner however it was not possible to get a bite for lunch. The receptionist informed me that the only places where we could have lunch would be in Bled, which involved a taxi ride and at least €10. I found it hard to understand how a hotel with a restaurant and bar does not offer any food options during the day. 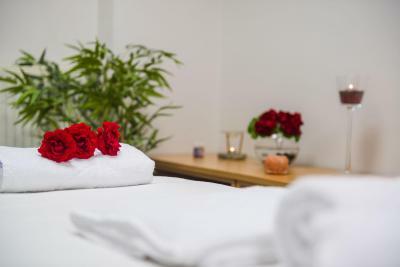 The staff at reception was really nice and helpful however they could be more knowledgeable about the facilities and promotions included in my package. They did not know if my stay was paid for or if cake was included. We were allocated in a room with double beds even though I mentioned I was travelling with my partner. The bathroom and room seemed clean until my partner found underwear under the bed...underwear that did not belong to us. We paid for a late checkout on our last day and went back to the room after breakfast. The housekeeper tried to enter the room without a single knock on the door which was very unprofessional. The staff at reception was really nice and helpful. 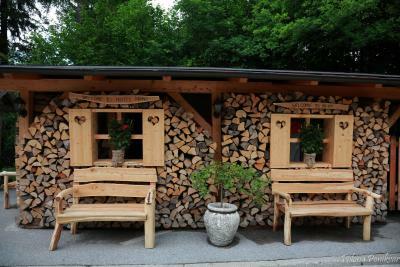 I enjoyed the location and think it is a great escape from the touristic hotels in Bled. 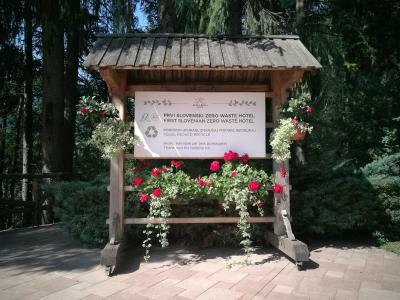 The hotel is located in a really quiet and retreated area close to the mountains and woods and the saunas, massages and whirlpool are a really good way to unwind. 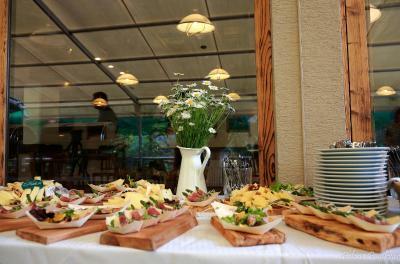 Warm hotel, well kept, excellent restaurant, convenient location, cosy environment…. Small wellness, with just partly working jacuzzi, weak coffe at breakfast, far from Bled lake. The hotel's atmosphere is cosy, and the sourrinding nature is brilliant. The montuain and the forest is next to the hotel, so it's really quiet. The hotel is really moody and quiet, great value for the money. The bathroom facilities need upgrade.